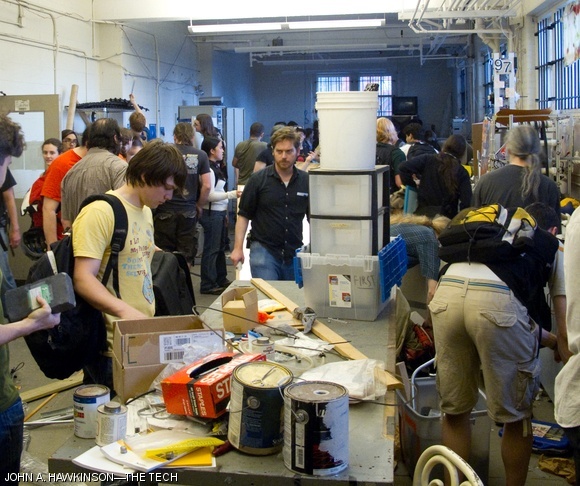 MIT students swarm an “entire room giveaway” in E60, posted to the reuse mailing list. Steven G. Banzaert emailed the list giving away the contents of a room that housed several robotics teams, between the hours of 3–4 p.m. Tuesday. Like all posts to reuse, the items were free for the taking.